An exciting opportunity recently arose for Cooney Lees Morgan Associate, Mary Hill, with her appointment to the National Committee of the Resource Management Law Association. The Resource Management Law Association (RMLA) was founded in 1992 with a focus on providing up to date and relevant information regarding resource management related policy, law and practice.  The association now boasts over 1100 members; comprised of lawyers, judges, consultants, civil servants, planners and more. Mary will be representing the governance entity of the association with her role at the National Committee which is elected by members of the RMLA. The committee is made up of only ten individuals and has a multidisciplinary representation of seven lawyers, two planners and one transport engineer. The aim of the committee is to consult with the Ministry for the Environment and the Judiciary to keep abreast of legal, policy and political developments and enable the free flow of information between policy / law-makers, and practitioners. Courts: which involves liaising with the Judiciary. Awards and Scholarships: allocating awards and scholarships. Regional Development and Co-operation: supporting the branch committees of Auckland, Waikato/Bay of Plenty, Wellington, Canterbury and Otago/Southland. Congratulations Mary on a well-deserved and highly valued appointment to the RMLA.